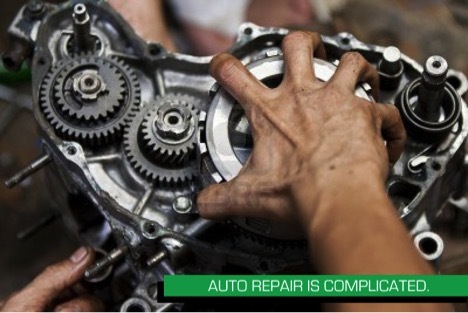 Admittedly, for many of us, auto repair is complicated. Vehicles are complex machines, full of intricate moving parts and connections between different systems that have taken auto manufacturers years to perfect … and they’re continuing to upgrade them. We rely on these vehicles to convey us to our destination, but most of us have only the most general sense of how these marvels of modern engineering function. More and more, even many professional mechanics have only a limited area of expertise. Because of the general ignorance on the subject, a number of misconceptions, foolish notions, and flat-out lies have become sadly commonplace. These myths circulate through our society, getting passed around as received wisdom, but they could be doing more harm than good. Some myths are fairly innocuous — affecting your habits in a small and unobtrusive way — but others could be highly destructive. If you delay taking proactive action on a critical auto repair, you could be putting your vehicle at risk for much more serious damage … or putting your own safety in jeopardy. That’s why it’s worth knowing about these persistent myths, so you can protect yourself against them, and possibly walk away with a better understanding of how your car, beloved or taken for granted, actually works. 1. Cheaper gas can harm your car’s engine. On the surface, this idea might make sense, but there’s no empirical justification for it. For most other items and services in the auto industry, you get what you pay for: If a car is more expensive, generally it’s been built by a more reliable manufacturer using more reliable or high-end parts. More expensive oil tends to perform better than cheap oil. And to some extent, more expensive gas from a top-level provider can be more useful than cheap, low-end gas. The former contains additives such as cleaners and protectants that may be able to keep your engine in top shape for longer. However, cheap gas can’t actively harm your car. All gas must meet certain quality standards that are set at the national level, so you never have to worry that whatever you’re putting in your car isn’t safe. 2. You need to change your oil every 3,000 miles. This is conventional advice that’s been passed around for decades, but it’s no longer the case. If your car has been manufactured in the past decade or so, take a closer look at the owner’s manual; it will probably tell you to change your oil every 5,000 miles, and sometimes even more. The standard recommendation these days is to change the oil every 7,500 miles, and even as high as 10,000 miles for some cars under certain circumstances. Why is this? Engines have improved design, and oil has better chemical composition, so oil in these cars lasts longer without any need to be changed. 3. You never need to change your car’s oil. Unfortunately, there’s a more recent myth that’s arisen because of growing awareness of the previous fact. When people hear they might only need to change their oil every 10,000 miles, some start to write off oil changes altogether, in the belief somehow that they never need to change their car’s oil again. Make no mistake, contemporary oil and engines are impressive, and can withstand a ton of use and abuse, but that doesn’t mean they’re unbreakable. 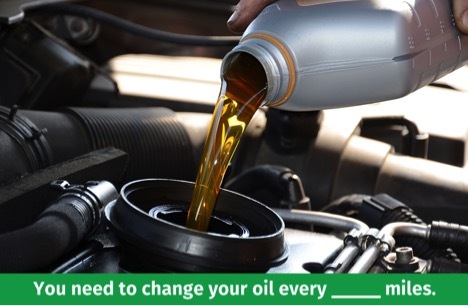 It certainly doesn’t mean you don’t have to change your oil regularly. Keep your car on a regular schedule if you want it to survive. 4. 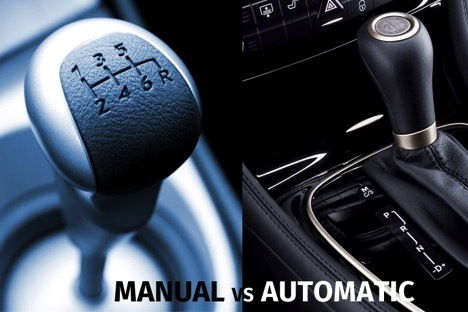 Manual transmissions are more efficient than automatic. This myth used to be true. In the early days of automatic transmissions, the components were inefficient and not well designed, and any manual transmission vehicle could easily outperform an automatic in terms of fuel efficiency. However, over the years, automatic transmission development has become steadily more sophisticated, and enabled these vehicles to become more efficient. Today, manual and automatic transmission vehicles are more or less comparable in terms of fuel efficiency, so if you’re considering getting a manual just for this reason, you might recognize that it’s no longer a factor. 5. Going to an unauthorized repair shop will void your warranty. This is a myth that persists mainly thanks to dealerships’ desire to keep customers coming back to them. Though rarely stated explicitly, dealerships will heavily imply that you can only service your car with them, and that taking your new car to an outside source for repair may actually void your warranty. The truth is, any repairs covered under your warranty can be handled by practically any service provider; all you have to do is save your receipts to prove what was actually done and how much you paid for it. You can’t void your warranty this way, and it may end up being more convenient for you overall. 6. Regular maintenance isn’t necessary any more. There are hundreds of little things that can go wrong with your car: everything from your wheels getting knocked slightly out of alignment to a tire becoming underinflated. These minor items won’t typically have a large impact on your car’s performance; in fact, you probably won’t even notice them. But over time, they’ll start to cause more substantial forms of damage to your vehicle. This is especially true for safety mechanisms such as brakes, or components of major systems of moving parts, like the interior of your engine. Because of this, it’s vital to bring your car in for regular maintenance, so you can catch these little problems early and proactively — before they can cause any more damage. None of these myths is true … even if some were rooted in fact at one point. You don’t need to be a professional mechanic or engineer to know the basics of how your vehicle works; even that basic information can help you drive better, spend less money, and keep your car in good working condition for longer. If you’re in need of a tune-up, an oil change, or any kind of regular service, schedule an appointment with The Garage Auto Repair, or just walk in. We’ll take care of you and your vehicle.